Open source hardware gives mostly full control over software and hardware, but there are different levels of openess, with some companies wrongly claiming their product to be open source hardware – with a nice accompanying logo – once they dump some source code somewhere and publish the PDF schematics, while others are doing it right with the release of schematics and PCB layout in source format, as well as software and proper documentation. 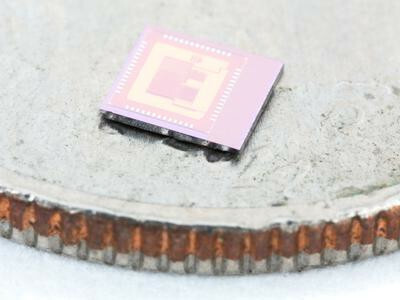 However even for the latter group, the actual chips are closed source bought directly from silicon vendors or their distributors. So the good news is that you now have the opportunity to bring the meaning of open source hardware to a whole new level thanks to OnChip Open-V 32-bit processor that is open source, and getting launched on Crowd Supply crowdfunding platform. OnChip Open-V is based on RISC-V (pronounced “risk-five”), comes with peripherals, and should be competitive against ARM Cortex M0 based micro-controllers. The MCU would also be the first RISC-V chip available on the market. You can find the complete OnChip Open-V design, including the RTL (register-transfer level) files for the CPU and peripherals, as well as the development and testing tools in Github, all released under the MIT license. The source can be used to teach silicon designs, debug and correct errors in the chip without asking the vendor, and if you plan to roll your own cut reducing costs by cutting out licensing fees. 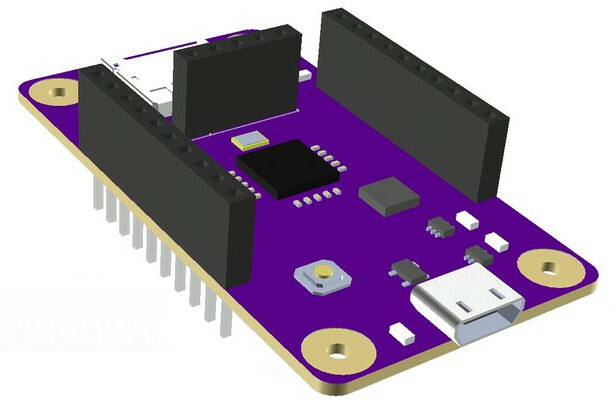 The board will be programmed with the Arduino IDE, so it should be not harder than programming any Arduino boards, or any platforms using the popular IDE. However, getting silicon to market is an expensive endeavor, and the only way to bring prices down to to manufacture millions of units. OnChip is starting small with a first target of 70,000 chips, which still converts to a $480,000 funding target. There are several ways to help reach that goal starting with a $49 “Chip Pioneer” reward to get on of the first chips to be manufactured, but the most popular reward is likely to be Open-V development board going for $99. Shipping is free to the US and $7 to the rest of the world. You’ll also have to patient, quite understandably due to the task at hand, as rewards are only expected to ship in April and May 2018, unless you pledge for one of the most expensive rewards giving access to early chips in May 2017. Thanks to Nanik the tip. Wonder if they could work with the Chinese companies making all the cheap £1.99 arduino clones, like them or not they know how to manufacture cheaply and not all are did quality. I think the main cost issue here is the cost of manufacturing the chip itself, since quantity is rather low. Shipping starts May/June 2018, in roughly 16 months. That may be to late. 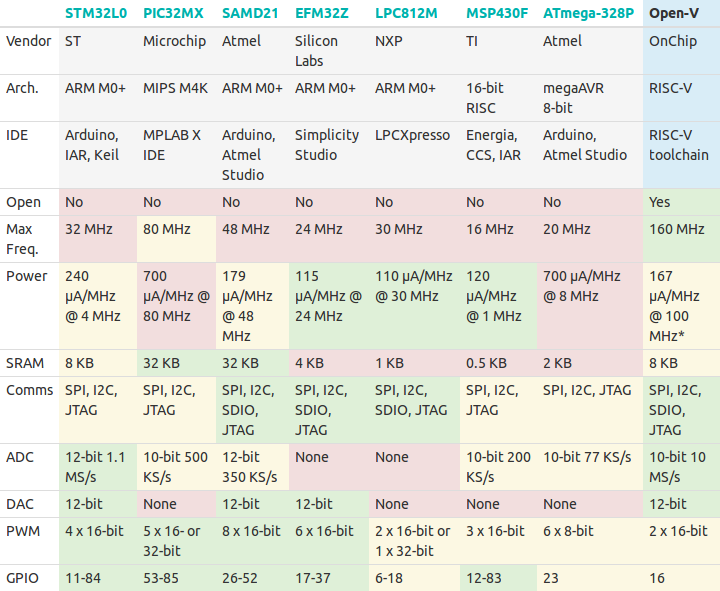 At that time point, there will be some very strong RISC V competition. Chinese clones are still made of MCUs getting produced by the millions. So even if a Chinese manufacturer may only buy a few thousand chips, it still benefits from the lower price due to high volume production (of the market), as well as all the software work already done for the MCU. OnChip must do everything from scratch. For example, they appear to have 10 silicon designers. The company is based in Colombia so salaries must be lower than in the western world, but for the sake or argument let’s say the company needs to pay $50,000 per year for each, that’s $500,000, and then there’s all the other engineers, support staff, and other costs like rental and others. That does not even include manufacturing of the chip. So fixed costs are very high. The company has been around for 30 years, and must have other sources of income, so that’s probably why they can try to pull this off. So, making a chip is expensive, making a board isn’t. With chip at $49, a board at $65 could give them a chance to collect their funding. Also, if deliverables are in 16 months, and funding goal is so high, making a campaign some 90 days would also make it more realistic. Looks like a false start otherwise, though I’ll pledge something just to support the idea. QFN is acutally easier to solder in my book… QFN and QFP are both chips that should ideally be drag soldered especially at larger pin counts. Soldering a pin at a time will likely lead to overheating the chip. So if you must drag solder QFN is much easier in my book as it is harder to bridge solder joints assuming you applied plenty of flux …. it is a bit harder to align initially but the actual soldering part of it is much easier and more reliable. Well 13 days left and only 10% funded, will it sink or sail? The 2018 delivery date did not help, and the launch of HiFive1 campaign one week later with a similar RISC-V processor, available this year did not help either.